The new project is envisioned to complete around the year 2020, with interim milestones that will be achieved from now until then. According to “The Architect’s Journal“, Norman Foster (British architect) and Zaha Hadid (Iraqi architect) have been assigned to work on finalizing the architecture of the new mosque. The new design of the mosque allows the Makkah Mosque to hold more than 3 million Muslim worshipers at a time. The new design of the mosque will house other facilities around the area that include conference halls, residential buildings, command centers to control the flow of traffic, security and other services. The new infrastructure will continue to seek improvements over the current infrastructure by eventually making it extremely easy for pilgrims to get in and out of the Haram Mosque compound with fewer difficulties. 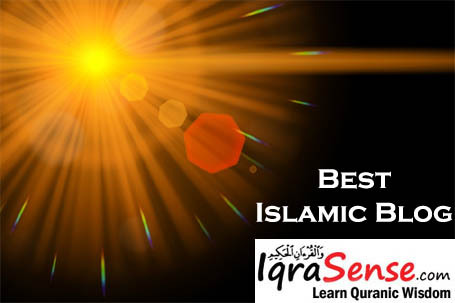 Note: Click here to read more Islamic stories from the Quran and get access to best Dua books in these publications. Great Email. Thanks and consider me in future for such mails. MashAllah and JazakAllah, King Abdullah may Allah bless you. Subhan Allah Jazakallah very nice inshallah this will complete soon and more people will get chance to do the HAJJ. mashallah what an accomplishment this will be. May Allah bless All. Mashallah Is very nice!! With the help of ALLAH TALA to be complete soon inshallah. Masha Allah and Alhamdulillah, if it happens, it’ll allow more muslims to the Hajj. But at the same time, we also hope that all muslim leaders of the wolrd, especially King Abdullah who leads the wealthiest Muslim nation, will gather strength and resources to help all muslims around the world who are being oppressed, especially our Palestinian brothers, a mere stone throw away from the kingdom of Saudi Arabia. 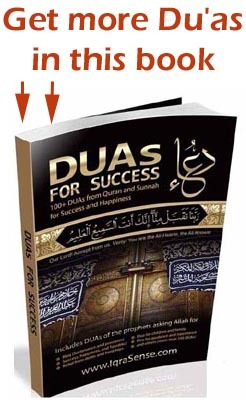 insallah allah helps you to make this………..
Alhado-Lillah! woderful! Eyes cannot belive! May Allah give to all of us a chance to visit Makkah after the mosque is constructed. Very good development for the muslim ummah. May it be easily achieved. Allahu akbar, very happy to hear this,Inshaallah the work will complete soonly…………. Many of us here feel that it a desecration of the holy sites. Most people don’t know that modernisation comes at the cost of demolishment of numerous historical sites around the Haram. Personally I’m sad and horrified at the new design – it looks like any other modern western city. It’s really great…all of my hope is to follow that with a strength and sincerity in our faith to overcome the darkness we suffer from..may Allah bless all of us.. I just hope the Suadi authorities will choose the Atkins design. Its more soothing and pleasing to the eye. may ALLAH bless all the people who are taking part in this great task, and may ALLAH help all Muslims to accomplish this task by praying and helping in every respect.may ALLAH protect the dignity of Muslims and unite them .Ameen..
Allahumdullilah…. May allah give us all the oppurtunity to do visit his holy place..
Alhamdulillah,this is an excellent project undertaken by King Abdullah and should be completed as early as possible.But the expansion should not be compromised with the old and historical beauty of HARAM MOSQUE. Asalamalikum, Good and Marvellous efforts from Authorities, may Allah unite all Ummah in one platform. Ameen. may Allah bless all those involved in its development. Amin. I cannot resist giving a reply to this monumental task of re-construction to accomodate millions of Muslim devotees who will wish to perform their annual obligation of pilgrimage. It is hoped that historical replica be preserved in miniature for the future generation to remember, comprehend, and reflect on. May Allah preserved in good health, be empowered, and be guided accordingly all those who planned and are working to accomplish this colossal task of accommodation. His Highness King Abdullah deserves blessings from Allah for this noble task. working Muslim ummah. Let us not be dictated by the power of our ego. We will never prosper if we build on satanic desires. Our religion is peace and we must build on the premise of peace. Alhamdulihal. May Allah give all concern the Grace to accomplish this mission. The Prophet Mohammed (SAW) prayed to Allah that those behind him will understand the religion and appreciate Islam better than those with him. Allah answered all his Prayers. This act of expanding the Haram is part of this prayers. May it be possible with ease and may we all live to witness it and be part of those who will visit this Holy Mosque to perform as many as possible Umra’s and Hajj Ibadat. INSHA ALLAH (AMIN). may ALLAH bless all the people who are taking part in this great task, and may ALLAH help all Muslims to accomplish this task by praying and helping in every respect.may ALLAH protect the dignity of Muslims and unite them .Ameen Ameen Ya Rabbul Aalameen.. This great rewardable project whenever realised would go aong way in reducing hardship due to conjection experienced during the Hajj period. May Allah reward every person that part-take (physical or spiritually) toward this giant project abundantly. Ameen. Al-Hamdolillah.May Allah bless the Saudi Ruler and the people involved. I remember the Saudi Rulers like King Faisal who contributed much to the renaissance of Islam in the twentieth century. 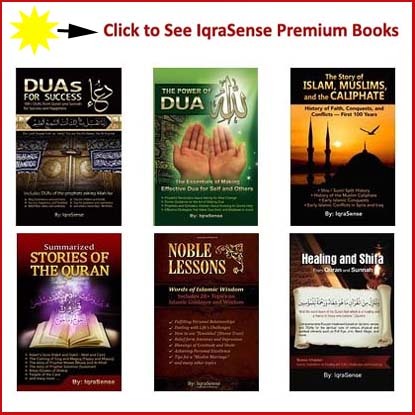 I truely blessed to receive an email from IqraSense. The Holy Mosque Expansion is a blessing for all of us and I pray that Allah (swt) grant the custodian of the holy mosques all the blessings in this worldly and the hereafter life for taking such tasks and I pray for its development and grandeur always. Assalamu Alaikum , may ALLAH bless all the people who are participating in this huge project, and may ALLAH does not deprive of every Muslim to visit the Holy Mosque in Mecca and the Prophet’s Mosque to accomplish Hajj or Omrah ,may ALLAH protect the dignity of Muslims and unite them .Ameen…. Many thanks and Peace be with you. mashallah what an accomplishment this will be.may Allah unite all Ummah in one platform.May Allah bless All. 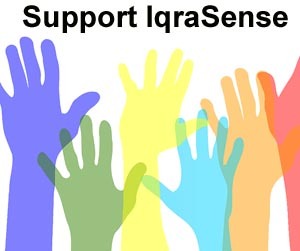 it was an honour receiving an email form iqrasense. i pray for its better and better development always and fore ever. may Allah bless them and reward them for their services to Islam. We must think and make efforts for unity of muslims………. THERE IS NO DOUBT,NOBODY COULD STOP THE REALISATION OF THIS PROJECT AS ISLAM IS THE ONLY TRUE GUIDANCE TO HUMANITY AND ALLAH’S HOUSE OF WORSHIP (MECCAH) IS THE MOST BEAUTIFUL AND PEACEFUL PLACE ON EARTH. MashaAllah……this is really great !! Mashallah its very very spectacular wonderful future design of our holy cities,may Allah bless King Abdullah. may Allah accept this good deed and make this work ease aameen. may allah keep us alive only on imaan and give us death in a best state of imaan and guide all of us to a straight path aameen..
may allah bless all the people who are involved in this great work and bless all muslims with those whom HE have blessed aameen. Alhamdulillah(3), well proposed: lets make dua for this event to happen as planned.wallahu a’ilam. I will pray to Allah subhan wa taala to help the people involved in this project, May Allah subhan wa taala accept this good & kind deed – Ameen. i think this is a bold step taken by saudi government, as the number of pilgrims are increasing therefore we should have this expansion plan!!! Alhamdulillah! 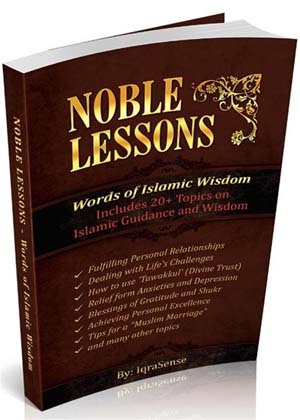 Our way of life (Deen), as practicalised by the noble Prophet (PBUH) is decidedly forward looking. Thus, Progress is with synonymous with Islam. May Allah endow the initiators and executors of this worthwhile development with the wisdom, courage, perseverance and understanding to decide on the best option and complete the project. May He reward them abundantly and make the important project be the catalyst of the much needed unity of purpose of the Ummah. Wonderful,may the Almighty give us a long life to be able to see the new structure.Many thanks to you and may Allah bless you. Alhamdulillah, this is a very positive step and may Allah help and bless all those who thought about this, and worked for it.May Allah make it easy for them. 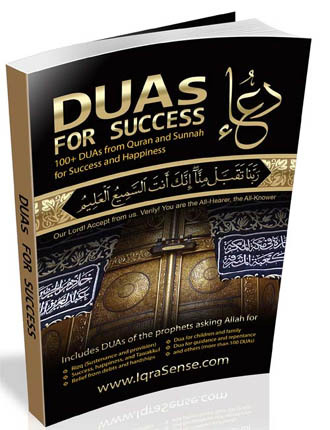 may allah bless all the people who are involved in this great work and bless all muslims with those whom HE have blessed aameen.May ALLAH bless all the people who are taking part in this great task, and may ALLAH help all Muslims to accomplish this task by praying and helping in every respect.may ALLAH protect the dignity of Muslims and unite them .May ALLAHA protect the Pakistan & Pakistanis because we enter no direction war ALLAHA protect our nation and country. I performed the last hajj and it was as if i should not go back to my country – especially when i saw the prophet’s mosque in Medina – despite some of the (normal) hardship that i went through and it was due to the peace and blessing that Allah (SWT) put in the holy land. And now that the mosque will be expanded to make hajj more comfortable for pilgrims, it is my hope and prayer that Allah will use it to forge co-operation among muslims and strenghten us to subdue the challenges that we are faced with. Also, i want to pray that Allah should give our enemies the patience and ability to understand the religion of Islam and the feeling of muslims. This is so because, i believe, they are waging war against us because they do not understand what Islam stands for otherwise they, naturally, will be on our side striving hard to remove all forms of kufr from the surface of the earth. Masha Allah, It is my prayer that Allah would reward anybody who contibute to the deveploment of the grand Mosque. May Allah reward King Abdallah with Alannatul Firdaus. No investment on the Ka’aba would be seen as too much because it is the rallying point of the Muslims. Alhamdu lillah! Very fantastic work being carried out by His Exallency The Custodian of the two Harams, King Abdullah! .I pray to the Almighty Allah to bestow His choicest blessings upon him and his men for this yeoman service in His cause. This is a great e-mail. 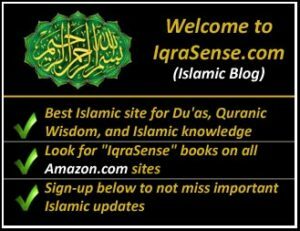 May Allah Bless Iqrasense for this informative message. I was among the lucky hajjis, last year 1429 and what I saw was really, an affirmation that there is no other religion in the world that brings together, sujch a mamouth gathering of faithfulls. In essence, with increase population of people coming to Makkah for Hajj, there is need for constant expansion. May ALlah Ta’ala bless King Abdulazeez and all those charged with the responsibility of taking care of the House of Allah. The expansion project is a very laudable one and may Allah make it a reality. Amin. It is really great. May Allah Almighty shower His mercy and blessings upon all Ummah. Jazakallah. This new construction will provide millions of muslims all over the world an opportunity to perform Haj with ease and comfort. May Allah help mankind to complete this ambitious project at the stipultaed time and shower His blesings upon His Ummah. May Allah wish us to see the successful completion of this great project. I don’t think I like this “EXTRA HUGE” development surrounding Ka’abah making it small & minute. “Extravangance” is definitely NOT GOOD… WAllahu’alam. I have no words to express my feelings after seeing this email. May ALLAH bless King Abdullah. asalam alleikum, what a wonderful project. well it was very congested when we were there in 2006.may the almighty reward this ummah and make the project a reality and let everyone taste the journey of the life time. 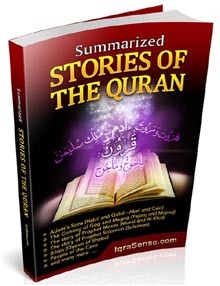 May ALLAH enlist me among those that will see such a wonderfull feature, AMEEN! Islam will continue to grow! Asalaamu Alaikum. I have no doubt that the intention of the custodians of the two most holy places on the face of the earth is good and pure. But since my HAJJ in 2006 the cost of making the HAJJ has more than doubled. The average hard working Muslim can no longer expect to make this sacred journey to perform a pillar of our deen. From what I see of these plans it looks as if only the richest among us will be able to afford such grand accommodations and may not even be able to get close enough to the Kabbah to see it with binoculars. I have to say I do not have a good feeling about the expansion plans I see here. Please consider a much much more modest expansion if any at all. Then make modest accommodations for the millions who would like to attend HAJJ. We do no need any more grand excess such as the Meccah Towers looming over the most beloved Masjid Haram. The rest of the world is drunk with excess and now they are about to collapse. Please, let us not fall in line with them. Forgive me if I have offended anyone. It was not my intention to offend. 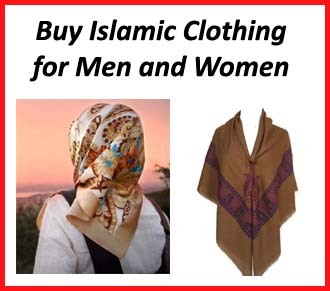 But please, consider a much more modest expansion with the average working Muslim in mind. May Allah bless us all and show us the right path. Ameen. Assalamu alaikum wa rrahmatul lahi wabarakatuhu. Alhamdulillah that God has chosen good people to take care of His holy house on earth. well I must say that I’m not happy because I’ve not been to the holy house of God. and this is one of the major prayer I’ve been doing. Once again I pray to be in the Holy house of God this year. May Allah (SWT) spare our lives to benefit from this expansion program. Thanks to the Saudi rulers as every year pilgrims find the holy pilgrimage increasingly easier to perform. Praise is due to Allah. The Saudi Kingdom has been attempting to comfort the pilgrims to this sacred site. However, by deducting the profit of these two sacred cities the Kingdom has also to lend its hands to the oppressed Muslims in other spots of the world. It is very beautiful design in the world. It is very very big design of makkah musjid. Mashallah This is a very very great design of makkah musjid. Subhan allah If it is in future. I thank allah very very much. I prayer to allah. it build soon. The Makkah – Mukkarama Project is extremely good and have a chance for all of the muslim in the world to have a hajj and umra. allah bless for all the muslim. Inshallah for this project allah will help. A marvelous project. May Allah (SWT) make us among those to witness the new masjid Al Haram after completion. This is a nice project, may Allah (SAW) rewards you. Assalamun aleikum warahmatu llah.This is one of the greatest projects I am opportuned to see.My prayer is that Allah in His infinite Mercy reward all people concerned whether individually,collectively or governmental that are involved in this beautiful development right from the initiative stage through to the complition stage with Al-Jannatul firdausin ameen. I also pray to Allah Almighty to keep me alive and make it possible and easy for me to come for hajj and worship Him in the new expanded haram in the holy land ameen. Please say ameen on my behalf. May Allah continue to bless, unite and protect all the muslim Ummah, especially those working to increase the pride of Islam. Thank you for the mail. Jazakumullalu Khairan. Subhanallah, the expansion plan looks great. But I do hope and pray that King Abdullah also plans for the boarding and lodging of the 3MM pilgrims that the Masjid will be able to welcome. Pilgirms from all over the world come to worship and pay hommage to the One and Only Creator Allah(swt) are all dressed in one garb similarly wish the Saudi government in the guardianship of King Abdulla, plan one kind of boarding and lodging for all the pilgrims. May Allah(Swt) give guidance and bless the King Abdullah to be a just leader. May Allah Subhana wa Taala bless the extension plans inshaallah. May Allah increase our Imaan too. This is a great, great project!!! I have to visit Ka’bah again!!! Mashallah, what a beautiful Haram Mosque we are going to have. May Allah blessed those who built this amazing mosque. Subhanallah,nowadays when everybody is just thinking about themself and only building their houses big and strong there is someone who think for ALLAH house and his people’s comfort.May ALLAH bless King Abdullah as he is bringing quite a good changes. Subhaan ALLAH , the design proposed by ATKINS is really soothing to eyes and as atkins says that even in future its capacity can be inhanced by repeating the same circular desing which is one of the necesity also. Alla Bless all the Muslam Omah. Very pleased to see the expention Thanks to all the Muslim who has made and doing their hard work God Bless. Althoug I feel that these hotels/resorts and buildings around the Kaa’ba will bring some sort of comfort to the visitors of Allah’s house, I have mixed feelings about it. From what I understand one of the signs of the last day are tall buildings. The way the structures swallow the ka’ba just seems too dominant. MASHA ALLAH.MAY ALLAH HELP EVERYBODY INVOLVED IN THE NOBLE MISSION.AMEEN. Masha Allah. Mind blowing. May Allah help each and every who is working hard to make this master plan a reality. I also make an appeal to the authorities/Architects to pay a special attention to those special monuments and places surrounding Makka. May Allah give us guidance. Make our innerself strong enough. Extension of Masjid Al Haram is appreciable and I am praying that our innerself should also be expanded alike. Our vision about islam should also be vast. We should work to increase the knowledge of Islam. 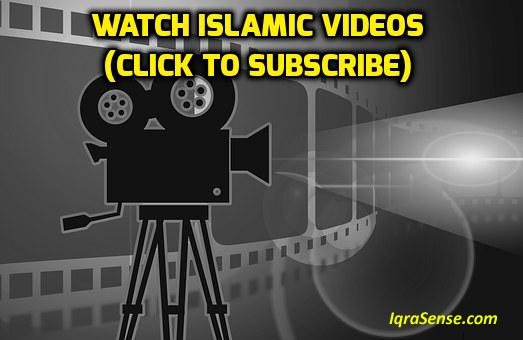 It is indeed the need of the time that we should pay attention to what Islam is all about. May ALLAH bless me to visit this holy place and see this great project completed. MASHA ALLAH, Beautiful & Mind blowing. ALLAH Bless Every Muslim to see His Home With His/Her Own Eyes Ameen Sum Aameen. It seems like a dream. I hope I like to see it in reality. And wish for every muslim to visit these spiritual places during Hajj. 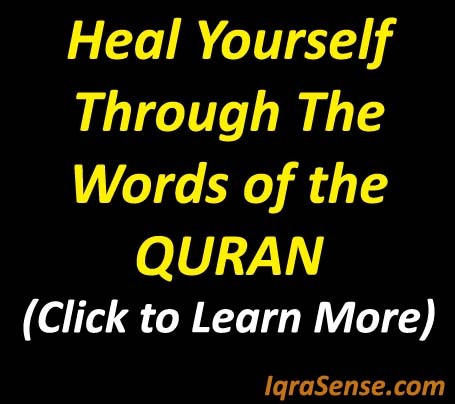 SUBHANALLAH , this is great news…. Subhan Allah! I am living in this holy land for almost 20 years, and when i compared masjid al-Haram before? its 10 times much better… because of new expansion and improvements. I am so lucky, i am here in this holy place and thank you for our King Abdullah, for he is not only helping and loving his fellow Saudi’s but also as expats! We indeed very lucky, MashaAllah. I wish i could live here more years to come and bring back my children here to visit their birthplace and perform their Islamic rights. May Allah bless Saudi Arabia and the pilgrims. Im all for the expansion of the holy masjid, subhanallah the number of pilgrims performing hajj and umrah is growing each year and therefore an absolute essential need for the extension….But, my only concern is that, I feel we are losing the sense of spirituality and its originality is being lost by the erection of tall luxury hotels and the ultra-modern design structual extension to the masjid itself….The current design of the masjid as it stands looks masha’allah beautiful, it should be extended by all means but the original design should be kept and not go for the lavish unneccessary designs just so it can blend with the 21st century developments. This is indeed a fullfiling effort in the consciousness of the need to grow Islam in our own little way as it is “Allah’s religion” of peace that He has given us to tap His blessings from. May ‘Allah’ swt help the muslim ummah to be partakers in this lifetime rewarding fullfilment. Long live Islam!, Long live Saudi Arabia & King Abdullah!! Is the photo shown a plan of what the mosque will look like in the future? It looks ridiculous. It doesn’t even look like a mosque! Yes, I acknowledge that the mosque needs to expand with the number of pilgrims increasing but this is the wrong design for a holy mosque like this. It looks like a group of dominoes with the twin towers at the back. I totally back and support what Zam (#125) said. The ATKINS design is the one that stands out as a clear winner in regards to design, originality and accommodation. May Allah rewards you for the effort. Great !!!!!! I like this website.We need to circulate the the true knowledge as much as possible. Subhanallah!!! i have visited this HOLY lanf twice already (2008 and 2010) and Insha Allah would visit again for Umrah ramadhan in 2011…I always thank Allah swt for giving me the opportunities to visit MAKKAH and perform the rituals..May Allah SWT accept all our prayers and forgive our sins.. Subhanaallah!..May Allah rewards for those who involve and sacrifice the efforts on this Great Mosque..May Allah Bless you. InsyaAllah…. The Future of American Muslims – Is There a Vision?